Here is a wonderful giveaway for the lovely readers of my blog. 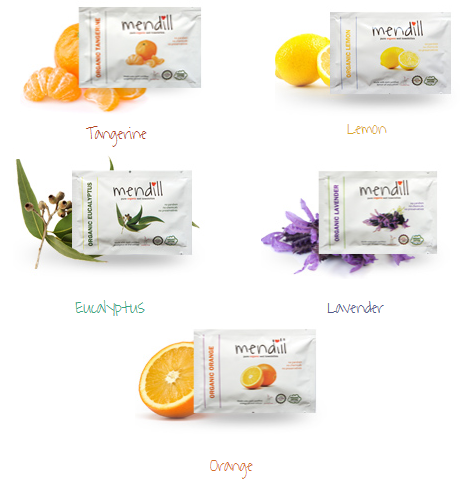 You could win 5 assorted Mendill 100% Organic, Pure Wet Towelettes. Mendill is dedicated to helping everyone live a pure and healthy life. They are passionate about creating luscious, innovative products made with simple, organic ingredients. That’s why they only make their Towelettes from the best ingredients nature has to offer, using only the highest grade of ethically sourced raw materials to ensure the most effective, luxurious and guilt-free application. - There will be one lucky winner. This giveaway will run from 25th September 2013 to 3rd October 2013. 1 lucky winner will be selected randomly at the end of the giveaway. This giveaway is now closed and the winner is - Helen. Congratulations. Yay, I'm the first to comment. How exciting. Anyway, I'd like to win these as I'm passionate about skincare and beauty products which actually have ethics and morals. Unfortunately many companies only care about profits. Mendill use ethically sourced and organic ingredients, something very important to me. Helen, Congratulations. Please message me (reviews.by.db (at) gmail.com) your details and I will send out the goodies. Wohoo! Thank you. I can't wait to try out these goodies.